Kick off your summer holidays right with this festive, healthy breakfast. 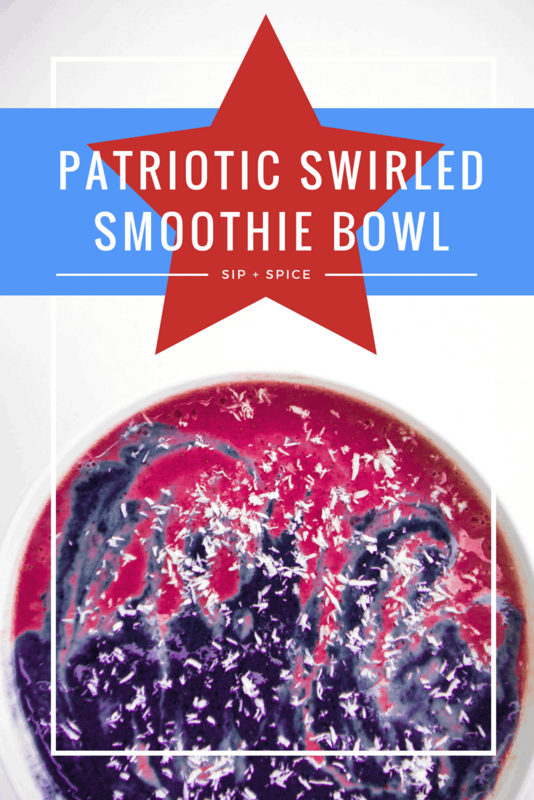 This Patriotic Swirled Smoothie Bowl is super easy to pull together and its red, white and blue color palette is totally fun! If you start your day with a fruit and veggie packed breakfast, you’ll save tons of room later for barbecues, guacamole, ice cream, and all the other fun things you have in store! The key to a swirled smoothie bowl is to make your smoothies extra cold. That way to hold together and the colors don’t bleed together. I always use frozen fruit and veggies to make an ultra frozen bowl, but if you are using fresh, just toss a handful of ice cubes into the blender as well to keep it all solid! Feel free to amp things up with fresh berry toppings! 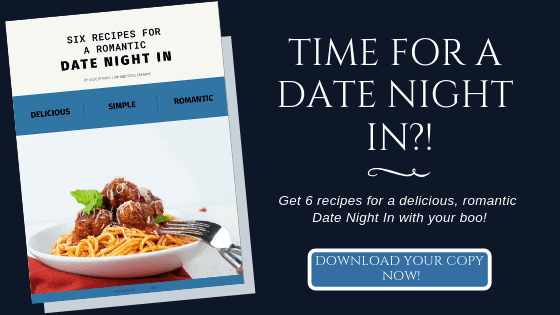 Now you’re bikini and barbecue ready! In a high-speed blender, combine 1/2 a frozen banana, 3/4 cup almond milk, 1/4 cup frozen cauliflower, strawberries and hemp seeds. Blend until smooth and place in a cup and put in the freezer to stay cold. Add the other 1/2 banana, 3/4 cup almond milk, 1/4 cup frozen cauliflower, blueberries and flax seed. Blend until smooth. Grab a bowl and remove the strawberry smoothie glass from the freezer and simultaneously pour each smoothie into one side of the bowl. They will start to combine, but because they're frozen, they shouldn't bleed together too much. 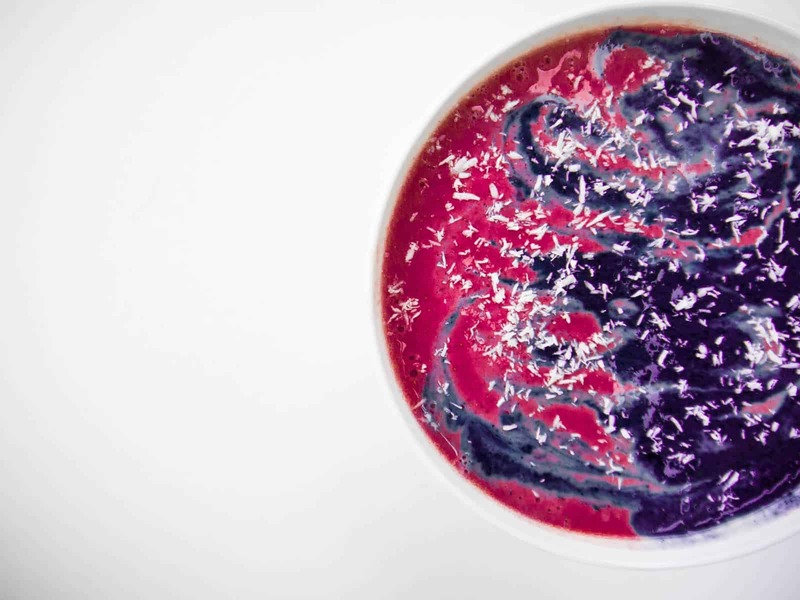 Use a toothpick to swirl some red into some blue and vice versa. Sprinkle with coconut flakes and dig in!